As an online marketer or someone who has recently started an online marketing venture, you know the importance of driving traffic to your website. Without visitors, you cannot survive in the market, and your business will most likely fail. Site traffic increases your exposure as well as the potential for backlinks from interested visitors. Your website may even appear in the first or second page during searches. You will also benefit from an increase in customers and profit. Do you know how to get free traffic for your website? Here are few steps you can take to get traffic to your website without spending a dime. Social media sites serve marketers well by funneling people through to the original site. The most effective social media contender is Facebook. Anything you post on Facebook is visible to a high number of people, who can make it go viral if it is worthy enough. You begin a Facebook presence by attracting a small number of friends or fans to whom your posts are visible. Friends can show a preference toward your links or repost them on their walls, all with the click of a button. In this case, it shows up on your friends’ pages where all their friends can see it. This online word of mouth is a very powerful marketing tool. Every time you post you have the potential of reaching out to hundreds or thousands of people. Similar to Facebook, Twitter is also a very popular social media tool. Twitter is used by many businesses to stay connected with their customer base. You, too, can take advantage of this social media tool by sharing thoughts and pertinent links. Twitter is a great place to introduce your product or service to the world. Social bookmarking, while less popular, is still an effective means of increasing your traffic. Most sites will allow you to post links and tag them with relevant keywords. Users searching for a topic will enter a keyword and be shown your site, as well as all the other related sites. There are some bookmarking sites that work in a manner similar to the main social media sites in that they enable people to follow others. When you follow a poster, you can be alerted when that person posts links that may interest you. Article directories are a way of getting your name and link in the public eye. You are able to post your site link in an author box after each article, which is a good way to get noticed. When people find your content useful, they tend to refer your work or your website to others. As an added bonus, many article sites pay for articles or share ad revenue with writers. Discussion boards and forums within your niche are powerful ways of generating highly interested and relevant traffic to your site. Most forums are very anti-spam, and therefore require membership applications, acceptance, and a probationary period. After you have become an active member in good standing, you are able to leave back links to your site. Blog commenting also gets your name out there to interested parties. Similar to discussion boards, you can link your name and comment to your website. Blogs are very popular sources of information. If they find your comment useful, they not only read it, but they also click through your link and visit your site. Using social sites and being an active contributor to many online arenas, you will increase your personal traffic. Free traffic will require effort and creativity, but anything worth having is worth the hard work. 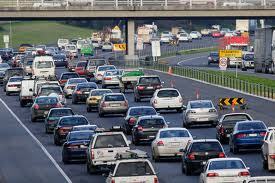 The time to profit in online marketing is now, but you need the traffic to get there. Go after the traffic today. A business has to be marketed effectively to be successful. Social media is one such marketing strategy that can make a difference for any business. There are many social media sites that can help you establish powerful connections with your clients, make your company more visible on the Internet, and give you an advantage over your competitors. Some of the most popular social media sites are Twitter, Facebook, YouTube, LinkedIn, and a variety of forums and blogs. Social media platforms offer an easy and fast way to communicate with clients. Become familiar with these sites and learn how to leverage their power to market your company. With an enormous membership base, Twitter is one such social networking site that merits a closer look. Through simple, sometimes fun posts, you can extend promotional messages to Twitter users. In addition, you can hold a dialogue with your customers, because they can post responses to your messages. This is a great way to keep your customers connected with your business and brand. They will grow more loyal to you because they will feel as if they know you. Another social networking website that you must not ignore is Facebook. Grab the opportunity to be recognized on this platform of hundreds of millions of active users. Just the thought of reaching that number of people should be sufficient enough for you to get your company on Facebook. After you sign up for a Facebook account, create a company page and start marketing your services and products to the daily Facebook users. Creating a company blog is another smart move to promote a business. Whereas a business website is a formal, corporate platform, the blog is a more interactive and intimate space. If blogging is a new concept for you, enlist the services of your web hosting service, which may offer assistance or recommend help from elsewhere. A how-to guide or sites such as blogspot.com are useful for setting up a blog by yourself. The DIY tools are user friendly and allow you to add different sorts of audio and video gadgets. You can also opt to hire an experienced professional to build and manage the blog. Whatever your choice, make sure you reserve your domain name as soon as you decide to create a blog, even if you don’t build it right away. After you create your company’s blog, it is time to actively make a name for yourself within your niche. Many niches have social media sites of their own, known as forums. Seek out a well-populated forum that applies directly to your business. Begin commenting on posts when you have meaningful suggestions or tips. These forums will start to generate additional traffic to your website. Consider visiting related blogs as well. Participating at related blogs may seem a little tedious, but the benefits pay off in the form of increased visitors to your site, not to mention landing a few subscribers as well. With any foray into the social media world, be sure that you take the time to actively participate in the conversations. Refrain from spamming these sites, or people will write you off as someone to avoid. Self-promoting forum posts and blog coments will come across as sales gimmicks. Other commenters and the blog owner will be annoyed at best. 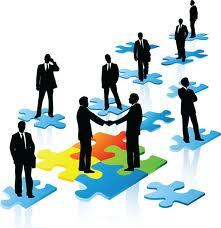 Another networking site that can be used for business advancement is LinkedIn. You can use LinkedIn to establish business connections and allow your customers to access your professional information. Flickr, YouTube, and other online multimedia sites can also be counted among the social networking sites. YouTube is a great outreach tool using video marketing, a creative and engaging tactic. If you want to use photography for marketing, Flickr would be the superior option. Open your eyes to the power of social media marketing in enhancing your business growth. By including online social platforms in your marketing approach, you are meeting the public where they stand. The world is your audience with this broad-minded global Internet marketing strategy. Enlist the online interactive social sites to work to your advantage. The world of online marketing has made it possible for people everywhere to become entrepreneurs. The online market is crowded with competitors. What can a business do to gain a profitable chunk of Internet traffic? New business owners can emulate some of the simple, yet effective marketing techniques of the pros to stand out above the rest. Before approaching their market, businesses must accurately and specifically define who that market is. By defining a specific niche, a marketing team can structure their advertising campaign to achieve the greatest result. A business which only focuses on its product or service, to the exclusion of all else, is not capitalizing on society’s current trends. What are the priorities of people within that niche? What are their main concerns? How can a business meet their needs? By way of example, a company who works within the medical field may address parental concern over a recent medical outbreak by providing free preventative, as well as printable sheets containing symptoms and treatments. Offering free information and ebooks as well as doing some legwork to find helpful links will all address the niche’s main concerns. Giving away timely information is an excellent way for a company to prove it is on the cusp of what matters to its customers. It used to be common practice to load a sales page with vague promises, meaningless guarantees, and barrels of hype. For a time, it worked. Not any more! Yes, the occasional newbie or desperate marketer will fall prey to the dishonesty of the hype-driven salesperson. Most consumers know better, and are immediately turned off by empty hype and unrealistic promises. For a business to do well in the Internet world, it needs to be upfront with customers. It must present informative and helpful content and legitimate services. An excellent tool for reaching a target audience is an online video. Pages with videos are far more attractive to the average viewer than plain text. They cause people to stick around a site longer. The extra time the potential clients spend there gives the marketer precious moments to present the highlights of the company, product, or service. Videos also give a visitor a sense of connection to the company. One of the most crucial components of a strong marketing plan is often overlooked. It is the customer service department. Site visitors should easily be able to reach a customer service representative at any time, at least to leave a message. No businesses in the 21st century should withhold their email addresses or similar contact information from customers. All complaints, questions, and problems should be acknowledged with a sense of urgency. Most companies begin this process with an auto-responder. A real person must make a real connection rapidly and frequently during the time the issue remains open. Failure to supply quality customer service will chisel away at a company’s customer base. Old school online marketers often bought supposedly prequalified lists of email addresses to whom they would send unsolicited emails and advertisements, much like telemarketers in the real world. Today we call that spam. Spam is generally filtered out of inboxes. When it ends up in an inbox, disinterested viewers delete it immediately. Today marketers encourage voluntary subscriptions to newsletters and other lists. People can also follow companies on social networking sites such as Twitter and Facebook. Time spent establishing relationships with customers will pay off in the form of repeat customers and increased site traffic. To succeed in the online marketing world, a business or marketer needs to be comfortable with the most current Internet marketing trends. Companies need to be willing to adapt their strategies to fit the needs and trends of today’s consumer. Following the ebb and tide of the ever-fluctuating Internet world will aid marketers on their way toward a profitable online campaign. In 2010, Clover Holdings, a relatively unknown company, bought a domain name that had been put up for auction by the company Escom LLC for the price of $13 million. Welcome to the world of domain flipping. Domain flipping involves buying website domains with the aim of selling them at a profit. Although not every domain name can be expected to fetch millions, or even thousands, of dollars, it is possible to secure a fairly sizable profit with the right domain building plan. When selecting a site to purchase or a domain to build, focus on domain names that are aimed at the keyword for which you will optimize your site. To select a high-performance keyword, learn as much as you can about the search habits of the relevant audience through online keyword research. Incorporate keywords that are highly searched, but do not have strong competition. You will likely need to focus your site on related keywords, rather than the most common and highly searched keywords within a niche. High-performance keywords will result in better rankings on search engine results pages, which translates to more money for that domain. There are several different opinions about how long a domain name should be. Though there is little dispute that shorter domain names are easier to remember, incorporating the keyword in the domain name carries equal if not greater weight. A second point of contention is the use of hyphens in the domain name. Many people believe that hyphens cause lower ranking on search engine results pages. For example, Google is able to see domain names that are hyphenated; however, some believe it gives higher rankings to domain names that are not hyphenated. Don’t waste your time trying to sell the new domain until you maximize its profit potential. Fill it with great content, appropriate design, and interesting features. A high number of visitors translates into better rankings on the search engine results pages. This, in turn, will make your domain more valuable. Besides maintaining a high standard in developing your site’s content, pay attention to the technical aspects. Optimize your content with keywords to enhance searchability. Advertising services, such as Google Adsense, are a great way to make your site as profitable as it can be. Build several backlinks to boost your page rank, but focus only on links from quality sites. If you link to poor sites, your ranking will not improve much, if at all. Finally, use Google Analytics to keep track of critical site stats, such as the number of visitors, how much income is generated, and advertising effectiveness. When it is time to sell your website, your Google Analytics track record will serve as a reliable proof of your site’s standing in terms of traffic and page ranking. You can list your domain in Flippa.com, and it will verify your Google Analytics information in your listing. Flippa also has a good reputation of helping flippers secure successful and profitable sales. Flippa gets a lot more visitors than other domain sales sites, so the bids are often driven higher than they would be elsewhere. In the ad for your domain, you will want to list the site’s niche, host, how many visitors it gets, how it generates money, what additional services are offered, and the on-site advertisement. This will help the bidders understand exactly what they will receive as the winning bidder. To protect yourself from a scam bid, go through a secure site such as Escrow.com when it comes time to accept payment and transfer the site. It is common for sellers to help the buyers with the initial steps of transferring the site. In some cases the transfer deal may include payment for continuation of administration, hosting, and content updates, although usually, once the sale is complete, the seller has no more role to play in the development of the site. The success of flipping domains depends on the effort you devote to building and improving websites before you sell them. Knowledge of a site’s target market and keywords will help in the development of the best design and content. The most money you make will come from the best, most profitable site. It is possible for you to make as much money from the sale of a flipped domain as you would running the website yourself for a year. That is why domain flipping is appealing. The dream of working from home and making a living online through blogs is not new. As far as dreams go, it’s not a particularly unrealistic one. Bloggers all over the world have made welcome lifestyle changes, thanks to the income from their blogs. Before aspiring bloggers can replicate the same type of success, they must understand the different strategies needed for making this possible. One sure-fire formula for success is using advertisements hosted by search engine sites. AdSense, which is freely available from Google, is a good place to begin. All that’s needed is a good site with quality content, and Google will take care of the rest. Sites must be up-to-date, unique, and respectable to be Adsense blogs. A savvy blogger will position the ads on the most visible site pages. This will make more people click on them, which earns the blogger more money. Once the ads make money, Google will pay the blogger a small portion of that income. 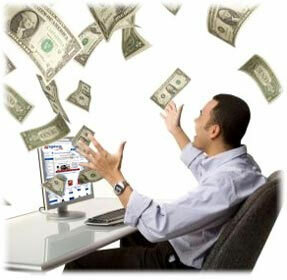 Some, bloggers prefer to earn more than Adsense provides them, and find search engine-hosted ad programs undesirable. These people often offer their advertising space directly to advertisers. This way, they get to keep the entire payment from advertisers or sponsors. Another popular option that has generated millions of dollars in revenue is joining an affiliate program. As an affiliate marketer, a blogger gets a commission whenever a visitor purchases a product through a link hosted on the blog. The revenue calculated for each successful click of the link is a pre-determined percentage of the total sale value. One such affiliate program is Clickbank. There are many different affiliate products that span several different niches in Clickbank, which makes it an ideal place for all affiliate bloggers. Instead of selling someone else’s products or services, bloggers can choose to market their own products as a way to make money. Blogs can be used to sell clothing, handmade crafts, and original artwork, among a host of other items. Bloggers can also sell ebooks, which has become a popular trend in the online industry. The product, no matter what it is, must be of superior quality to generate an income and encourage repeat traffic and purchases. Like most marketing strategies, the success of a blog is affected by the appeal of its contents. The blogger may be able to charge for products or services if the information provided is of superior quality. As more people sign up for the premium version, significant revenue can be made from the site in the long term. Having a high profile blog can also provide financial benefits and opportunities for the blogger. Individuals who are considered experts in their fields within the blogging community will find that they are often being requested to perform various services outside the online world. Many authors have earned book deals this way. Blogs can and do make money. Bloggers who know how to combine marketing with blogging can make quite a bit of money. By integrating a variety of the money-making options and experimenting with what works best within the niche, a blogger can build a profit base that can sustain the blog and even produce an impressive profit. Making money blogging is not always easy, but generating an income doing what they love is something most bloggers wouldn’t trade for any other job. Online affiliate marketing programs are everywhere. Finding a good match may seem overwhelming to the new Internet marketer. Your time and effort are valuable, and you want to direct them toward a program that will help you increase your income. There are several standards by which you can judge an affiliate marketing program. Steer away from any affiliate marketing program that does not have a good support staff. If you ever have questions that need to be answered, you want to make sure someone is there to answer you quickly. Some go so far as offering a training video to give new affiliates a leg up. If it doesn’t look like there are any training resources available, or contacting the affiliate manager appears difficult, you might want to stay away. You need also need to stay away from programs that appear to be confusing and overly complicated. Too many other programs are available that are simple to navigate and understand, and that have great support. Closely examine the product or service offered through the affiliate marketing program. Find legitimate reviews about the product or service. Invest in the product or service and use it for a short time to determine if it is all the program claims it to be. If the product or service fails to live up to a high standard, it is no longer a contender. There are other affiliate marketing programs out there to choose from. A product or service is useless of there is no market for it. Look around the Internet. Is there a market for your service? Will the product be well received? Don’t ignore the fact that a popular product will have a high number of competitors marketing the same product. Because you are becoming a member of an affiliate marketing program to make money, look for a program with a high pay-off. You should receive a commission of 50% or more for informational products or service agreements. Don’t focus only on costly products or services. An inexpensive product will sell faster than a high-priced item. After you’ve marketed your product, drawn people to your site, and encouraged them to click through to the product offer, you want to be compensated. You want the lookers and clickers to become buyers. The number of people who buy after clicking through to the product is called the conversion rate. Look for a company advertising a high conversion rate. If the company is new and has not established a conversion rate, market the product for a short time to determine your own rate. The affiliate marketing opportunities that are available are numerous. Do your research and find the gem that will put money in your pocket. There is no easy button for online marketing success, regardless of the program you join. A noteworthy company with a solid structure, proven conversion rates, and a top-selling product will help you achieve affiliate marketing success. Many sites nowadays are encouraging the idea of a “no cost startup business” without letting you know the real deal. It’s only when you’re totally hooked to the offer with no way out that they drop the bomb: it’s not cost-free at all. Listed here are a few tips to help ensure you’ve got a genuine no cost startup business offer in your hands. There exists an assortment of no cost startup business opportunities that actually won’t cost you a dime, however they still come with a catch: they’re not legitimate. In fact, the reason why they’re probably free to start up is because you’ll be violating various rules and regulations by establishing such a business.